As a testament to the quality of the course The R&A have since 2011 selected Bruntsfield as a Regional Qualifying venue for The Open Championship. The 2015 qualifier was won by amateur Matthew Clark with a 5 under par 66. Runner-up was the 2001 PGA Championship winner Andrew Oldcorn posting a 4 under par 67 with 5 other qualifiers making it to the next stage. Bruntsfield has been a venue for The British Boys Championships in the past which has included famous names in golf including Peter Alliss in 1946 and Sandy Lyle who played in 1975. The swash buckling American player Walter Hagen played Bruntsfield in 1933 during his visit to compete at The Open being played at St Andrews where he held the 36 hole lead. 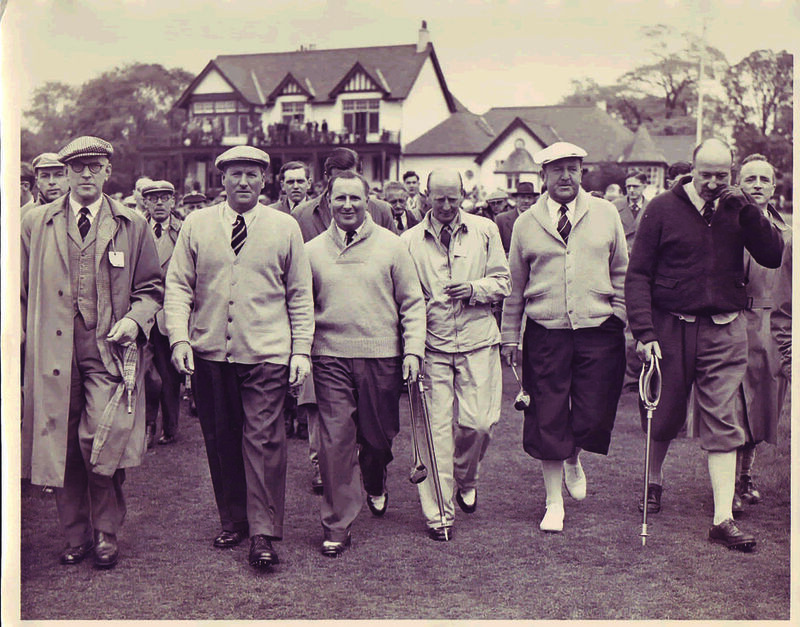 Bobby Locke, the famous South African golfer renowned as the greatest bunker player of his generation played an exhibition match at Bruntsfield in 1954 and is seen second from right in this picture.